If you’re a decent florist, you know how to use a multitude of different materials to keep things fresh looking on a daily basis. Arrangements need a “change over” just like any other product line in order to maintain a steady sales track for a continuous customer flow. No one likes to see the same thing over and over again and if pieces consistently only showcase blooms such as carnations, lilies and carnations, you’re risking the threat of boring clientele. As the flower industry is well known as one which is incredibly difficult to flourish- let alone survive within, this is an issue professionals should take seriously. The question is… How do we design arrangements that are dependable for a good four to seven days after purchase while still becoming a presentation that is impressive for display? One way florists are implementing a summertime makeover is by using a variety of plants that reflect both of these requirements. Any guesses as to what they might be? HERBS! Yes, herbs are becoming more and more useful in floral design due to their interesting texture and beautiful color. Depending on what variety is available, we are able to manifest exciting visual presentations while still satisfying a reasonable life expectancy for the finished product being sent out. 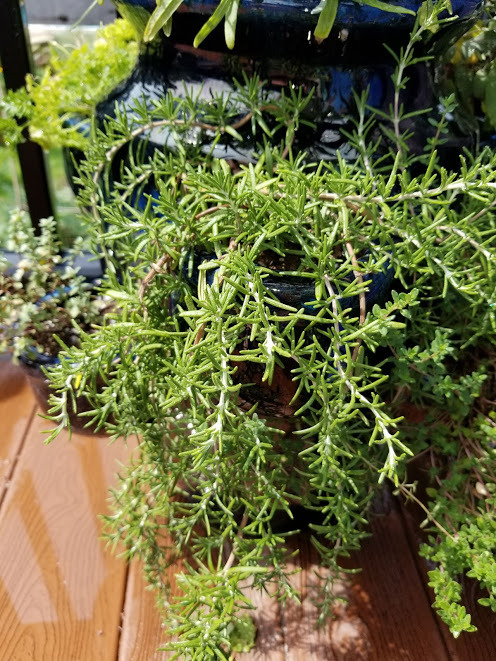 One type of herb that is really make head waves is rosemary, which just happens to be one of New England’s favorite seasonal plants to view both in the garden and inside homes. The strength of stem is sturdy in both bouquets and centerpieces. This herb has an impressive longevity as a cut flower. As long as the water is changed, the aroma is another alluring feature rosemary offers. The dark green needles mix well with a multitude of different colors especially sunflowers, delphinium and nasturtiums.